Flowers are so much fun to create with. That is one reason we started XO Bloom. We wanted to use our creativity to design floral arrangements all day long. 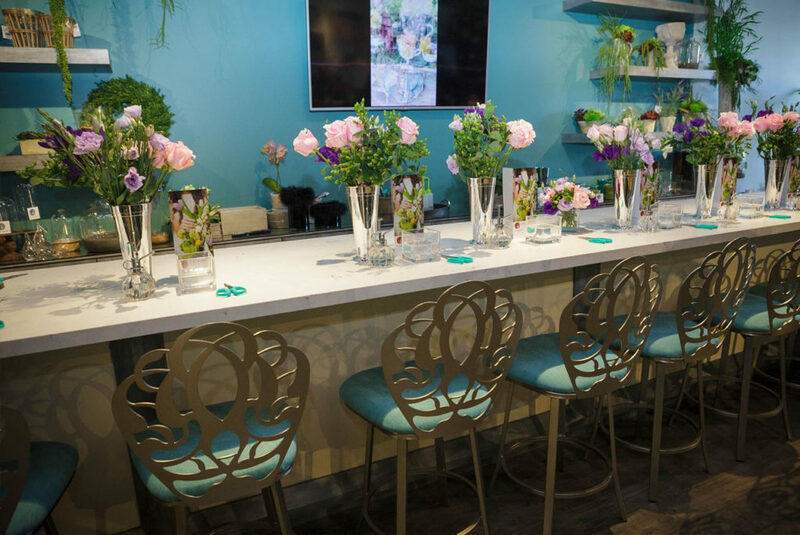 Having enjoyed doing so for many events in many circumstances, we wanted others to have the opportunity to enjoy the creative outlet we find so rewarding and relaxing so we created a Westlake Village flower bar! Our flower bar is meant to be enjoyed by everyone, from the novice to the seasoned pro, who wants to try something new. When you come to experience our flower bar, you will experience a fun and relaxing atmosphere where you can let your creativity loose. Our flower bar is a one-of-a-kind Westlake Village flower bar. We designed it to allow you to learn to create floral arrangements in ways you could not imagine. Impress yourself by your creation and take home the resulting arrangement to show off your talent to everybody!